What College Investment Options Do I Have? As tax laws change, college investment planning becomes increasingly complex. The most beneficial strategies for creating a college fund are quite similar to other investment tactics. Investment products that are tax deferred, tax exempt, or transferable without tax consequences can be especially advantageous. This could be even more effective if you do your planning early. One important aspect of an investment is its balance of yield and risk. Determine the amount of risk you can tolerate, given the amount of time you have to recover from any potential losses. Take the time to familiarize yourself with the financial aid formulas. This could help you determine whether assets and income should be in your name or your child’s name. Structuring your investments ahead of time can have a significant effect on the net amount of funds available for your child’s education. 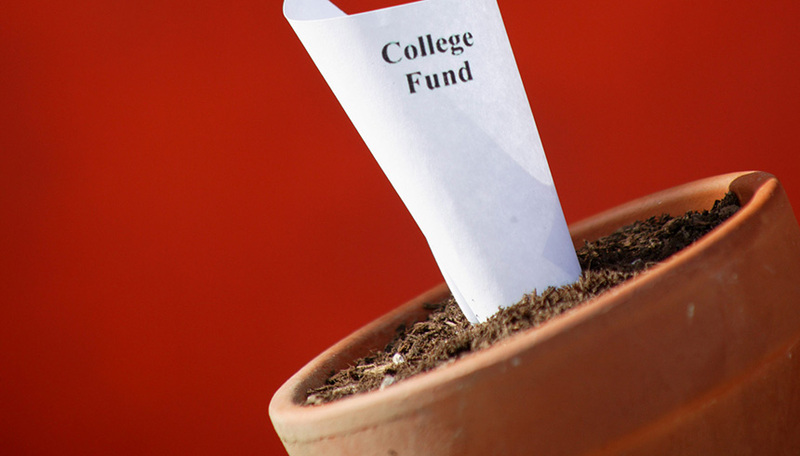 There are a number of funding options available for your college investment plan. This list contains a few of the more common. CDs offer a reasonable return with a relatively high degree of safety. They are FDIC insured to $250,000 (per depositor, per federally insured institution in interest and principal) and offer a fixed rate of return, whereas the principal and yield of investment securities will fluctuate with changes in market conditions. The interest earned on a CD is taxed as ordinary income. And CDs are not very liquid. You could pay a significant interest penalty for withdrawing money before it reaches maturity. Many people consider U.S. government bonds to be among the least risky investments available. They are guaranteed by the U.S. government as to the timely payment of principal and interest. The interest on Series EE bonds is tax-free to low- and middle-income families if the proceeds are used to fund a college education. This benefit phases out for individuals and couples in the upper middle class and above. Zero-coupon bonds are purchased at a substantial discount and pay their face value upon maturity. Because they do not pay interest until maturity, their prices tend to be more volatile than bonds paying interest regularly. Thus zero-coupon bonds make it possible to buy high-quality bonds for far less money up front. Interest income is subject to taxes annually as ordinary income, even though no income is being paid to the investor. The return and principal value of bonds fluctuate with market conditions and when sold, bonds may be worth more or less than their original cost. Many people who use stocks to fund a college investment program invest in mutual funds. Mutual funds are professionally managed. They buy and sell securities to meet the specific goals of their fund, weighing risk against security, and yield against quality. They can be an effective addition to a college investment plan. The investment return and principal value of stocks and mutual funds fluctuate with market conditions, and, when sold or redeemed, shares may be worth more or less than their original cost. Bond funds are subject to the same inflation, interest-rate, and credit risks associated with their underlying bonds. As interest rates rise, bond prices typically fall, which can adversely affect a bond funds performance. Mutual funds are sold by prospectus. Please consider the investment objectives, risks, charges, and expenses carefully before investing. The prospectus, which contains this and other information about the investment company, can be obtained from your financial professional. Be sure to read the prospectus carefully before deciding whether to invest. There are college investment options to fit almost any investor. No matter how modest or how ample your income, careful planning could be the most effective way to “find” the money for college. The key is to start early and remain consistent. This web site may contain concepts that have legal, accounting and tax implications. It is not intended to provide legal, accounting or tax advice. You may wish to consult a competent attorney, tax advisor, or accountant. Securities offered through ProEquities, Inc., a Registered Broker Dealer, and member FINRA and SIPC in the following states: FL, VT, NY, & NH. The Financial Marketplace, Inc. is independent of ProEquities, Inc.